Nautical by Nature: HuePhoria Wine Glass GIVEAWAY! The winner will receive this nautical Crabby Wine Glass! 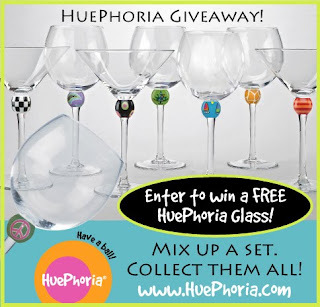 You must go to the HuePhoria website and "Join the Party" (sign up for their newsletter, promotions, etc) and leave a comment on this post letting me know you did this. I like the shore wine glass. I like the Limpet wine glass and hope it comes back in stock soon! I love their Flo Flamingo martini glass. I love the website! I signed up for the newsletter and my favorite item is the crabby salt and pepper shaker. I love the flo flamingo martini glass!! I signed up for the newsletter! I love the leopard wine glass. I also follow Huephoria on twitter (sbk10). Thanks! The "Shore" Wine glass. Gets me everytime. Love it! The crabby salt and pepper shakers are my favorite! I like the Shore, the Pacific, and the Atlantic wine glasses and a couple of the salt and pepper shakers. My favorite is the "Hildy" wine glass! I LOVE the Queen Bea Glass! What a cute giveaway! This would go great in my new apartment! I subscribed to Huphoria's newsletter. I love love love their Larry Salt and Pepper shakers. where I tweeted about this giveaway. Thank you again for this adorable giveaway!